This rousing volume explores the lives and interweaving stories of Aidan, Bede and Cuthbert. After an introduction which tells appropriately of David Adam's ordination in Durham Cathedral, there are four chapters on each: Irish by birth, St Aidan was a monk on Iona before being selected in 635 as the first Bishop of Lindisfarne. In time he became pastor to all of Northumbria. . THEMES COVERED: 'Aidan and the open door', 'On firm foundations', 'Open hearts and hands' and 'Feet on the ground'. Born in 673, St Bede was a monk at Jarrow on the Tyne. He is revered for his scholarly output of commentaries on the Scriptures and his famous Ecclesiastical History of the English People. His body lies in the Galilee Chapel of Durham Cathedral. THEMES COVERED: 'Bede at St Peter's Wearmouth', 'St Paul's, Jarrow', 'The loss of a friend and mentor' and 'Candle of the church'. When he was sixteen, St Cuthbert, received a vision of the soul of St Aidan being carried to heaven by angels. He was reluctantly persuaded to become Bishop of Lindisfarne in 685, but the next year resigned his see and retired to Farne Island., where he died on 20 March 687.He was later buried in Durham Cathedral. THEMES COVERED: 'Cuthbert and the angels', 'Reaching out', 'Lindisfarne' and 'The last days'. 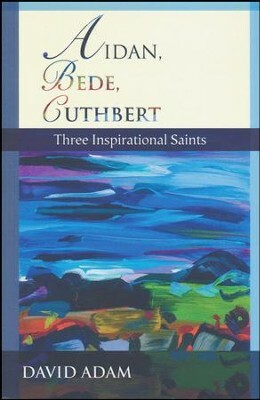 I'm the author/artist and I want to review Aidan, Bede, Cuthbert: Three Inspirational Saints.